On Sunday, 21 July 1912, Watts, 67, and his wife Edith were walking back from the village and the morning’s church service. As they neared their home - they were just a few dozen yards from the Park’s former gatehouse - two shotgun blasts rang out and Watts collapsed to the ground, blood gushing from a head wound. One of the two shots hit him in the back, though it’s not known whether the blast was intended for the Squire or his wife. She was reported to have seen the shooter. The shots attracted the attention of others from the Park. Another shot was heard. Shortly afterward, the body of William Farrow, the Squire’s head gamekeeper, was found in the bushes to the left of the road. Farrow was dead, his shotgun resting against his body. He had fired the weapon into his own mouth. Edith was related by marriage to General Sir John French, who, two years later, would lead the British Expeditionary Force to France and Belgium at the start of the First World War. The story of the shooting was written up by the Times and the Daily Mirror. Why did Farrow fire on the couple? At the inquest held the following day, the jury found him guilty of wilful murder. It was said he had taken revenge after being told by Watts that his services were no longer required. The event was soon forgotten, but from then on there were tales of ghostly sightings and experiences in and around the manor house and on the road to Hanslope. 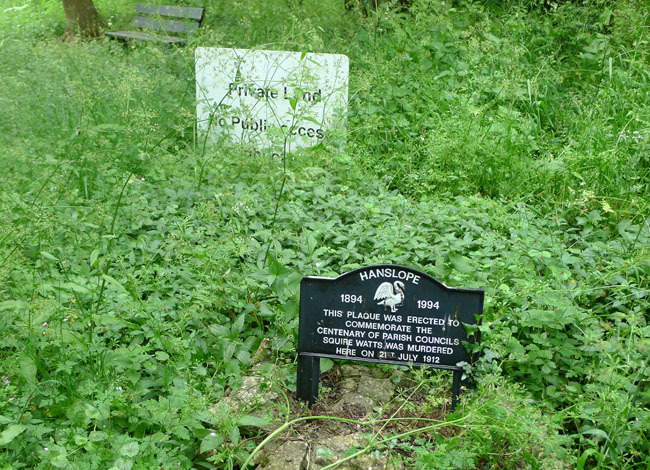 Whose spectre haunts the spooks of Hanslope Park? William Farrow? His victim, Squire Watts? Or Watts’ distraught wife, Edith? We will never know, though a neigbour of mine in the village once claimed to have been grasped on the shoulder while at work in the manor house. No one was there when he turned round, but they’re a rum lot up at there the Park, eh, Mr Smiley? These days the only tapping to be heard at Hanslope Park is the rattle of keyboards and the staccato morse on the HMGCC promo video. With the arrival of the HMGCC moniker, the site has been expanded considerably in the past decade or so. There are visibly more buildings there than there were when I used to cycle past as a kid, though in summer time it’s hard to see past the surrounding greenery. "Number Two's house, the green dome": Hanslope Park's homage to The Prisoner? 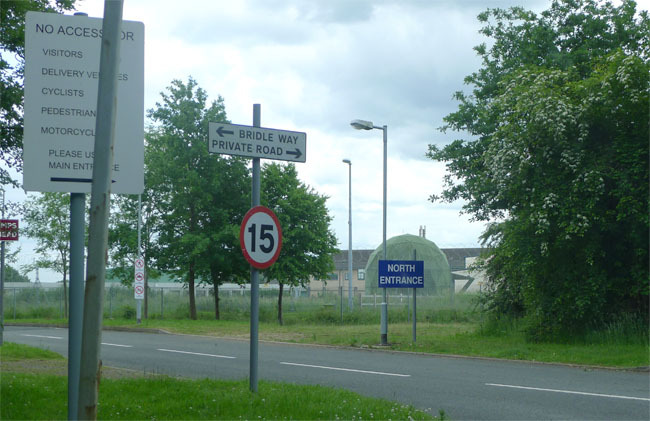 Some of the extra space is said to be occupied by MI6’s Technical Security Department (TSD), but in the information age you clearly need more staff to go over the data picked by the the likes of GCHQ Cheltenham and RAF Menwith Hill, North Yorkshire than you do for producing spy gadgets. And not just the latest information. Hanslope Park is home to the SIS’s archive, if we're to read between the lines of a 2009 BBC Radio 4 series about MI6 called Century in the Shadows. It noted the presence of “cavernous vault” of historical SIS information “somewhere just outside London”. Two years later, confirmation of sorts came from the Foreign Office itself in a document describing the movement of FO colonial papers to an trove in Hanslope Park. 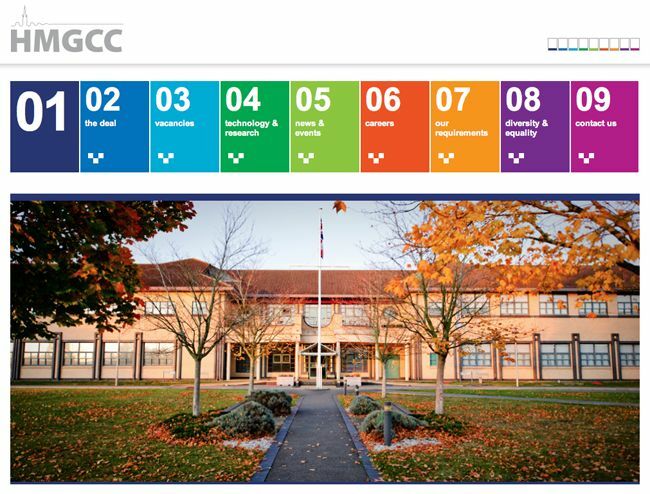 Much of HMGCC’s kit - that not developed internally, that is - comes from HP, which was contracted by the Foreign and Commonwealth Office in 2005 to design and build the next generation of the FCO’s "Firecrest", the system that connects Britain’s embassies and other diplomatic outposts around the world. Signed in 2005 and expected to be implemented by February 2012, the "Future Firecrest" deal was worth £401m. And it’s appropriate, don’t you think, that HP (Hanslope Park) was kitted out by HP (Hewlett-Packard). Providing a home for the technology was a new “secure hub for our global Information and Communications Technology (ICT) infrastructure”, construction of which began in 2005. Part of it was the FCO’s “new centre for cyber security”, opened in November 2010. The ICT housing is known simply as “Building 38”. The FCO also maintains a 612m2 “goods store” at Hanslope Park. These are maintained by FCO Services, the commercial wing of the FCO, which sells “secure” IT and communications - satellite, landline and mobile - testing services plus “perimeter and protective security” services too. ”With over sixty years’ experience as the UK National Authority for Counter-Eavesdropping (UKNACE), we’ve got the technical means to detect or prevent eavesdropping devices compromising the security of your site,” its website says. It also developed the Government Secure Application Environment (GSAE) cloud computing infrastructure. Hanslope Park is situated four miles north of Milton Keynes and 10 miles south of Northampton, between junctions 14 and 15 of the M1. Nearby Hanslope is home to the Watts Arms, which was a shocking pub in my day but now scores 3.5 out of 5 in the Good Pub Guide, is recommended by the local branch of Camra, has some decent real ales and welcomes kids.